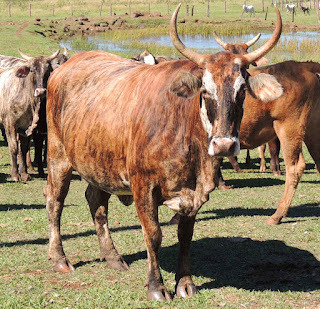 Pantaneiro cattle are a small breed of cattle with short coat. They are usually brown or reddish-brown in color with a tendency to lighten on the back. Their muzzle is usually black and there may a white ring.